Are Verbal Offers for Real Estate Valid in the State of Florida? “The fax didn’t go through; just tell them verbally that we accept $875,000.” This was a quote from a recent real estate transaction that went downhill shortly after the agent relayed this information, verbally. In the state of Florida, verbal contracts are not enforceable. A real estate contract must be in writing. In the good old days, when dirt roads dominated the Florida landscape, a good swindler who knew the law could legally take your roof from over your head. All he had to do was find two equally unethical scoundrels as witnesses to his verbal contract. The verbal contract to purchase the property could be for any amount from a $1 or a few hundred dollars. In court, the witnesses would lie about hearing the verbal contract and the landowner would lose the case. The judge would award the property to the swindler – case closed. Today the Statute of Frauds protects landowners from these false claims. 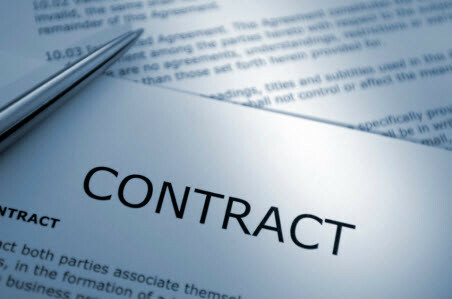 The Statute of Frauds requires that all contracts must be in writing. A contract must be in “writing” to be enforceable in a court of law. Since contracts are not so easy to forge (and the penalties for forgery are jail time), homeowners are protected from false claims on their property. I believe that many times, the reason for verbal offers stems from pure laziness or inconvenience. Whatever the case, there is no excuse for verbal offers and counteroffers working their way into any Florida real estate transaction, period. Many of our real estate transactions here in Naples, Florida involve buyers and sellers who live in other parts of the country and even foreign countries. Without being able to physically bring the contract from party to party the only choices are faxing, or scanning and emailing. The result can be an illegible contract that even an electron microscope couldn’t decipher. There are programs like Forms Simplicity for Realtors and others from Adobe that allow e-signatures, but this technology is evolving and may buyers and sellers are not comfortable with it and can’t get it to work when they need it. Taking the shortcut to arriving at an agreed to price with back and forth telephone calls is a sure recipe for disaster. Even if you get a price both parties agree to verbally, nothing is in writing. The whole deal could be thwarted by an offer that comes in-between the time you get the verbal agreement and actually get the contract signed. Just because there is a verbal agreement doesn’t mean the seller can’t accept another offer that comes in the door. The seller can accept any offer they want until they sign and date one particular offer and return it to the buyer. The moral of the story is never fall into the trap of verbal offers and counteroffers. Verbal offers are unenforceable in court and worth nothing more than the lip service they come in on. house was not for sale but vacant for a long time. so we sent a letter to the owner, asking to buy the house and an offer, she accepted our offer and forwarded our letter to a real estate and told them to handle the sale, the real estate sent us contract paperwork and that night decided to put the house on an mls and got a higher offer on the house and we were out of luck!!!! !